Wondering what to do with your used stamps? The Canadian Bible Society collects donations of used stamps. Stamps collected from donations across Canada are combined to create charity boxes and are sold to stamp collectors and vendors. 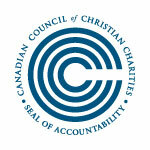 The revenue generated from the stamps allow CBS to purchase Bibles for Canadian prison ministry. We also accept personal collections that are already in books, binders, etc. Donate your used stamps today to help provide the Key to Freedom Bible to men and women in prison.